Gemma Arterton - ''Vita & Virginia'' Premiere & Opening Night Gala of the 33rd BFI FLARE Film Festival London March 21st 2019. 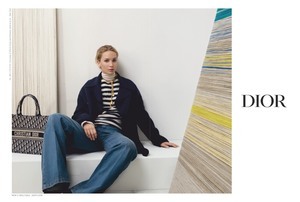 Jennifer Lawrence - Christian Dior Pre-Fall 2019 Adverts. Kristen Bell - Lindt Chocolate Easter Luncheon With Friends Los Angeles April 1st 2019. Mandy Moore - Hallmark's ''Home & Family'' Universal Studios Hollywood Universal City March 8th 2019. Farrah Abraham enjoys some downtime in Tulum, Mexico with a friend, 04/11/2019.